The theme of Ashmolean's May 2015 LiveFriday event, 'Social Animals', was an exploration of "what makes people and societies tick". 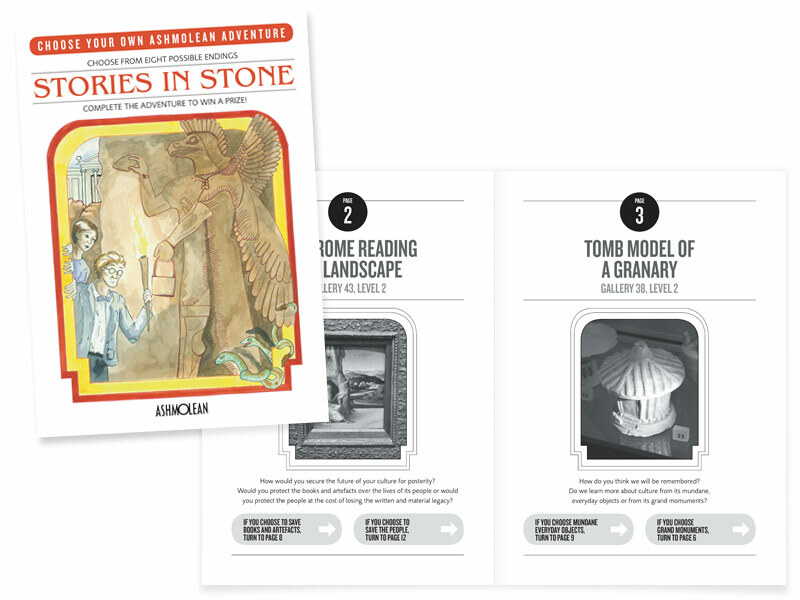 I created the design and artwork for the Stories In Stone booklet, copies of which were given to visitors at the event. Based on the 1980s Choose Your Own Adventure interactive books, the booklet invited visitors to explore Ashmolean and its exhibits, in order to work their way towards one of multiple potential outcomes. The booklet was created in collaboration with Ashmolean's in-house team, including Rebecca Dolgoy and Nick West, who devised the concept, and Emily Freeman, who provided the cover illustration.